Horses pose the issue of placing large amounts of weight onto a relatively small area coupled with the need to feel confident that they will not slip. 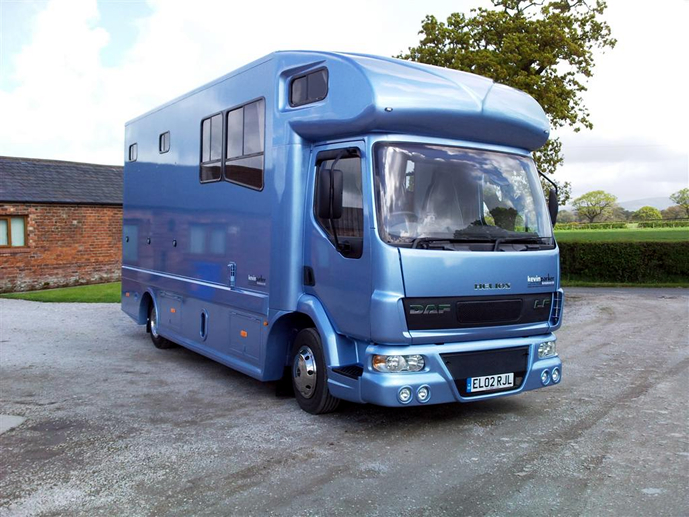 This is particularly an issue when they are entering a horse box up a ramp. Kevin Parker saw the need for a solution to this issue which would reduce the stress the horses felt and the danger when loading became a problem. 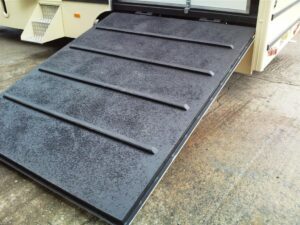 They tried various ramp coverings including carpet and heavy rubber but these became problematic and slippery when wet. These ways also made the ramp heavier and the water running underneath the coating would cause the wood to rot and and steel or aluminium to rust. Fast setting spray polyurea Armour-Truck, sprayed to 3mm for the walls and floor. Rubber granules were also broadcast into the surface of the ramp to achieve extra grip and then this was all finished with an encapsulating 1mm finish coat. The ramps were covered with this versatile coating offering corrosion resistance and waterproofing as well as abrasion protection. 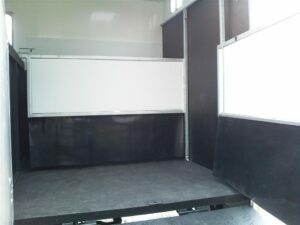 There was no need for gluing or screwing a wall covering into the horse area and it also removed the need for matting on the floor. The granules in the top surface allow grip whilst letting water run underneath similar to the way tread in tyres work. The finish is neat and looks like new after each power wash.